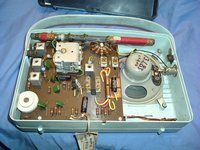 I have had a lot of enquiries about batteries for old Transistor sets the situation is as follows. 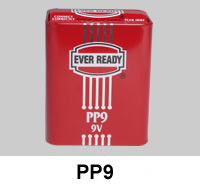 PP9 and PP7 batteries are still availiable in the UK. Stockists such as Maplins supply over the counter or by post.Perform a search on the www using either PP9 or PP7 as the search criteria to locate other stockists. How do you tell which one you need?. 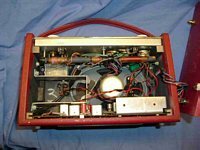 Measure the ammount of space you have in the battery compartment. A PP7 is 46mm square by 60mm high. While a PP9 is 52 x 66mm and 81mm high. 1957 Now Working. Minor repair only. Restoration of the case has started. Strap also came with the radio but it needs restitching.Transistors: OC44 OC45 (2) OC71 OC72 (2). Early 1970's. In good condition. Awaiting restoration. Working. Restored cabinet otherwise no other faults. 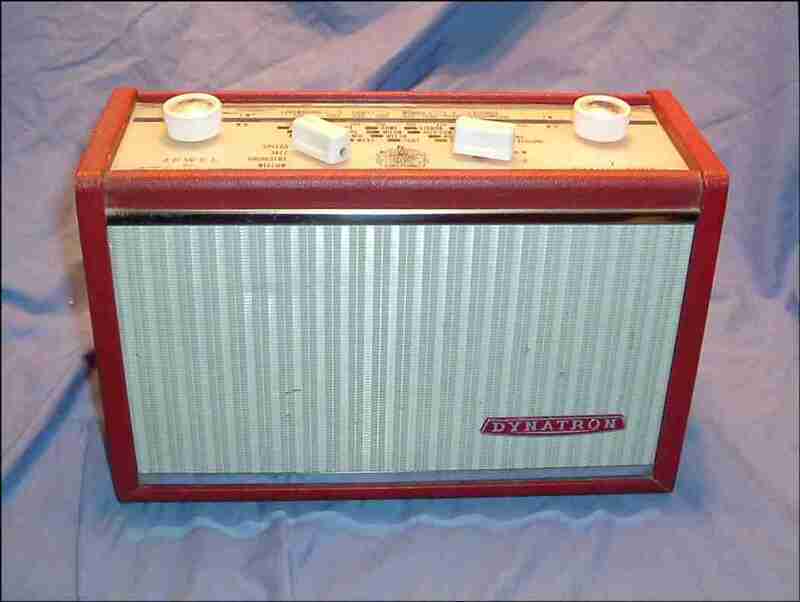 From 1963 this Dynatron TP30 is in very good condition. 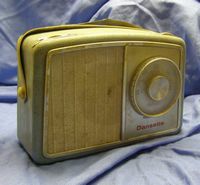 It needs a clean but shows very little wear and tear. Transistors are AF117 AF117 AF117 OC81D OC81 and OC81. It covers long and medium waves. 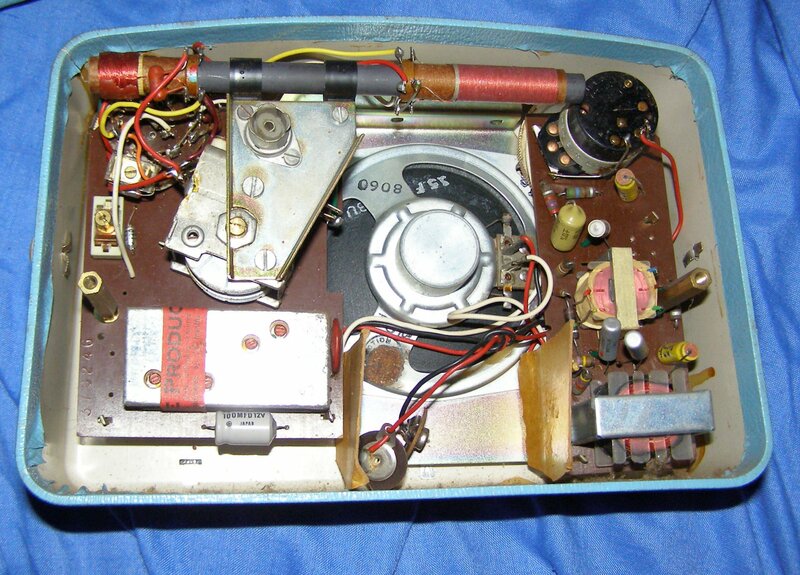 Released in 1965 the Perdio PR25 contains the following transistors OC45 OC45 OC44 OC71 OC81D OC81 OC81. A rather austere cabinet it is light and portable. 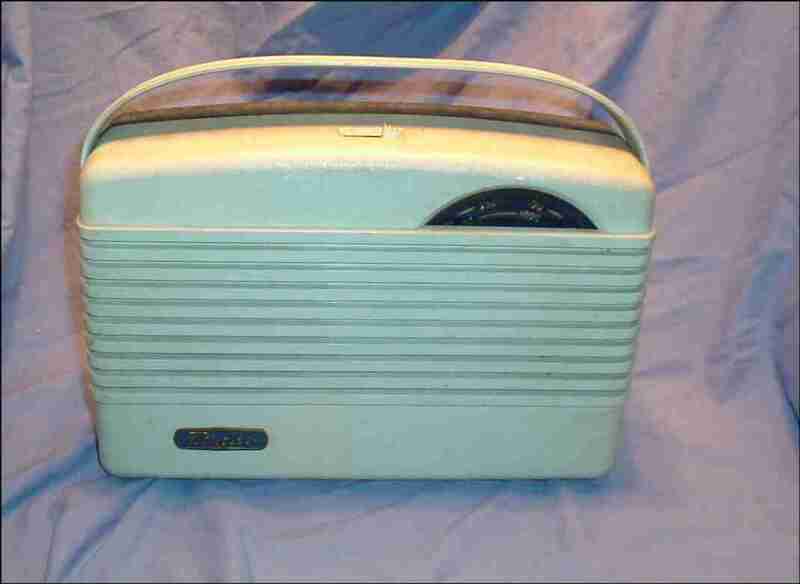 A typical mid 1960's portable radio. Which also became a kit radio in the mid 1960's. 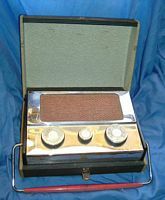 (See the Kit radio's under the Radio Constructors link. 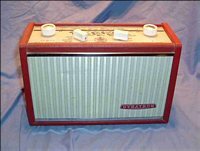 The Dansette Chorister is from 1965.This is the condition it was received in. A bit dirty!. The RF module is on the left and a conventional AF section with an OC81D driving two OC81's. 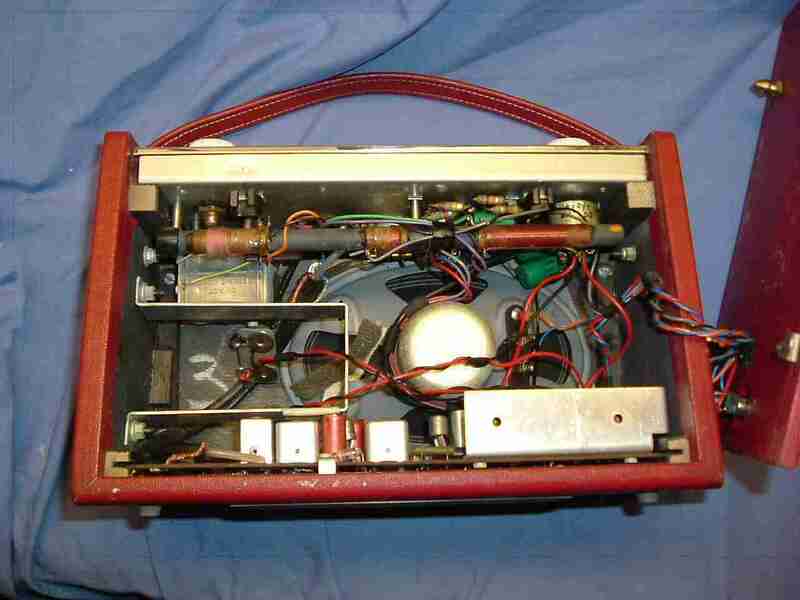 The Pye Q3 is from 1960.This is the condition it was received in. A bit dirty and an unusual shape!. Transistors are White Circle 1/2/3/4/5/5. Its does actually work but needs some work on it.